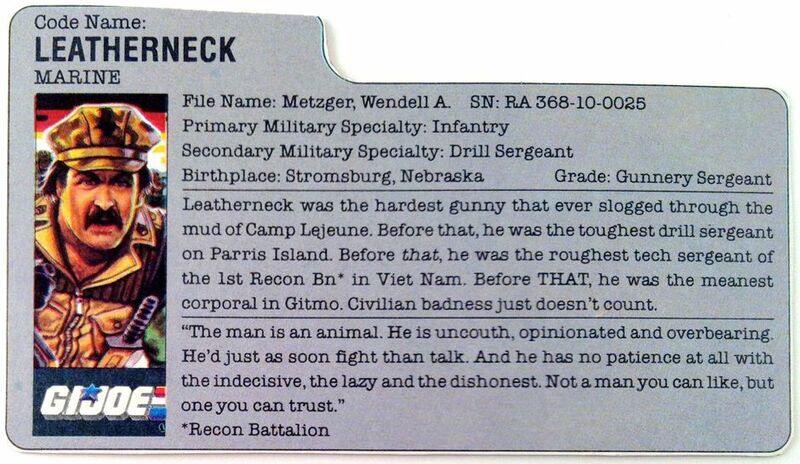 Leatherneck v2 was only available as part of the 1986 "Special Mission: Brazil" set. This five figure set was the first of its kind for G.I. Joe. Leatherneck v2 was never sold carded in stores. The card seen above is a custom piece of fan art created by a friend of mine.